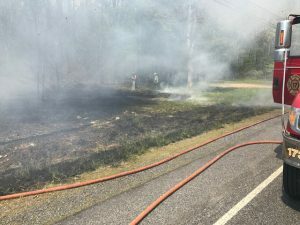 Stations 17,16 and PA Forestry units were dispatched to a report of a large brush fire along Route 940 near the Econo Lodge motel. Tanker 17 was first on scene and pulled one 1 3/4″ hand line to extinguish the fire. Fire district 16 was recalled. 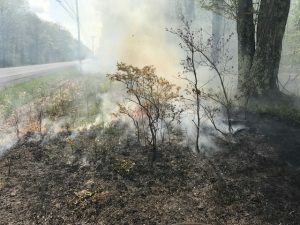 The forestry service placed one line in service as well.